They are feathered, winged, warmblooded, egg-laying, vertebrate animals. There are more that 10,000 bird species in the world, but on radio we usually only find three basic types; birds that tell us secrets, birds that find a way to scare us, and birds that taste good! The talking parrot is comic device that goes back to the earliest days of radio. Cecil and Sally was an early program broadcast from San Francisco in the late 1920s and early 30s. The program featured a pair of teenagers who faced the trials of growing up together. In the story arc featured in our Bird Collection, Sally is sure the neighbor lady, Mrs. Mason, has some secrets from her past and she is dying to know what they could be. Finally she hits upon the idea of interviewing Mrs. Mason's "Polly Parrot", because everyone knows that parrots talk. Cecil tries but can't talk her out of following through with her plan. Poll Parrot is the name of the the ship, its mascot, and the sponsoring shoe company in The Cruise of the Poll Parrot. In this wonderful children's serial, the parrot joins on a whaling voyage that has a pair of young stowaways, little Sue Grange and her young friend Johnny Robbins. Jack Benny had a lot of fun with his parrot, Polly, who was preformed by Mel Blanc. In our collection Polly has been feeling melancholy for several days, so jack takes her to a psychiatrist, for birds! Not all the messages from birds come from parrots, of course. A golden pigeon guides Superman to save Jimmy Olsen in a nick of time. 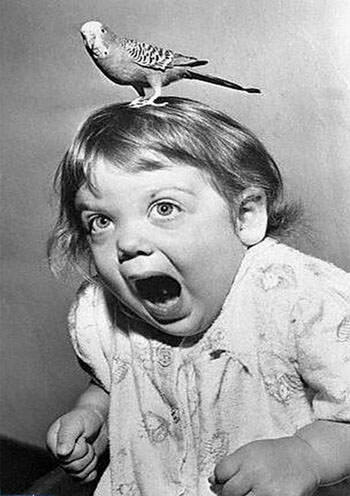 Birds have a way of scaring us much more than there small size would seem. What could be more frightening than a combination of Bela Lugosi and Boris Karloff in scenes from their movie The Raven. 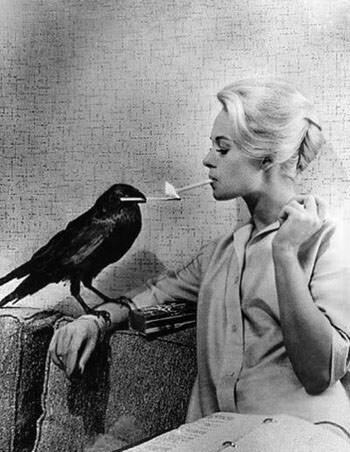 Birds rarely get the chance to be scarier than in the story The Birds by Daphne Du Maurier. The story would be adapted by Alfred Hitchcock into one of his most frightening films in 1963, but first the story was adapted for both Escape and Lux Radio Theater. Birds manage to give us the creeps on Escape on several other occasions, including the large gray parrot who figures so prominently in "How Love Came to Professor Guildea", and of course it is greed that drives the hunter in "The Bird of Paradise". The Inner Sanctum finds a few birds inside the creaking door to help chill the blood, including "The Black Seagull" who seems to be the spirit of Peter Lorre's dead lover. "Birdsong For a Murderer" is presented twice in our collection, the second time featuring Boris Karloff, is the story of a homicidal maniac who is only calmed by the songs of his canaries. Suspense has its share of bird related shows as well, with "five Canaries in a Room", "Pigeon in a Cage", and "Raven Notice". As beautiful as they are, and as wonderful as it is to hear them sing, some of our favorite birds are the ones that we can eat! Fibber McGee is quite an enthusiastic sportsman as it turns out, and very fond of duck hunting. But like Doc Gamble points out when it comes to McGee and ducks, if there is a shotgun involved, everyone around had better! More edible birds come into the McGee household when Doc Gamble receives a gift of some pheasants, and insists on cooking them "Indian style" by roasting them wrapped in clay- can Molly save the day? Probably the most edible bird is the Thanksgiving Turkey. Sam Spade has an interesting adventure with a man named Thomas Turkey who is afraid he'll be murdered over Thanksgiving, and it is a very interesting tale that he dictates to his secretary. Jack Benny has a lot of experience with turkeys, including the one he cooks himself for his cast, and another time he dreams that he is a turkey! And of course there is the "free" turkey that falls into Kingfish's life on Amos 'n' Andy. Is it the answer to his prayers or will it drive him to a life of crime? Or is it an even bigger surprise for Kingfish? There are many more birds in our collection, including contributions from Sherlock Holmes, Dragnet, My Favorite Husband, Henry Aldrich, and many others! Be the first to comment on "Birds on the Radio"